JuJu Jay is one of Great Outdoors’ sponsored mountain runners. 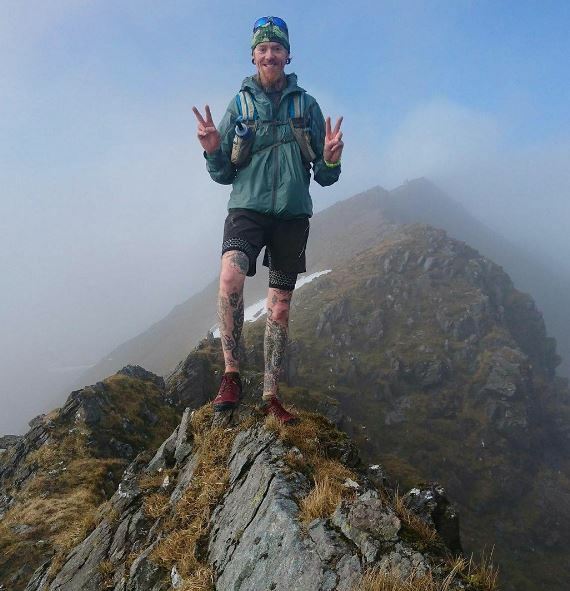 He began his trail running journey while working as a tattoo artist in Nottingham. He wanted to get in to shape but didn’t enjoy lifting weights and pumping iron. He began to focus on cardio machines and would max out the incline on the treadmill. Other gym members saw his natural running ability and encouraged him to give mountain running a try. His first outing was in the Peak District and was hooked immediately. He has since moved back to Ireland and runs around 200k a week in the Glendalough area with his running group Mud Sweat and Runners. He is planning his next adventure- running up the toughest mountains in Ireland-by any means possible. Watch Motiv Running’s video starring JuJu Jay and his MSR mates.